WHEN there is not an art gallery in town it can be difficult for aspiring North Burnett artists to get their work out in the public eye. This show season patrons will have the chance to marvel at the talents of the region's artists with the Radicul Art Trailer to make a stop in each town. Mount Perry artist Rae Watson was proud to have her work hanging at the Gayndah Show as part of the first ever travelling display. "It is nice to see them hanging because unless you have an exhibition you don't get to see them all hanging at once,” she said. "A few of the towns don't have art galleries or those sorts of opportunities so by bringing this to each town everyone gets an opportunity to show their work. The project is made possible by funding from the Regional Art Development Fund and is set to benefit artists beyond the show circuit. 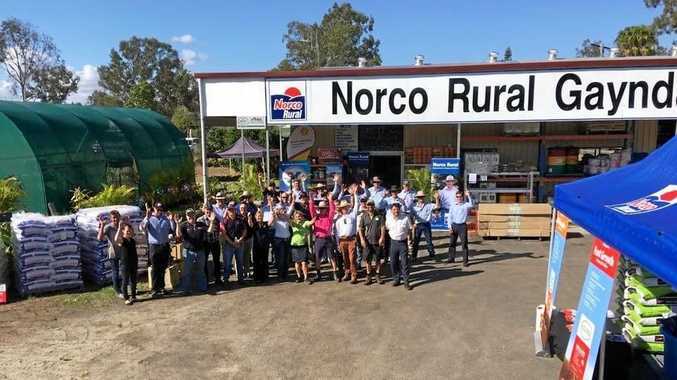 "The whole point is to raise the profile of our North Burnett artists so we have purchased this trailer and we are towing it to every show,” North Burnett council community development officer Tania Fraser said. At each show their will be artists from different towns as a chance to raise their profiles, get their name out there and encourage more people to get involved in the art community. Susie Capewellwas proud to be representing the Mount Perry Fine Art Group at the Gayndah Show finishing one of her works while being approached by show goers. "It has been in the pipeline for a couple of years,” she said. 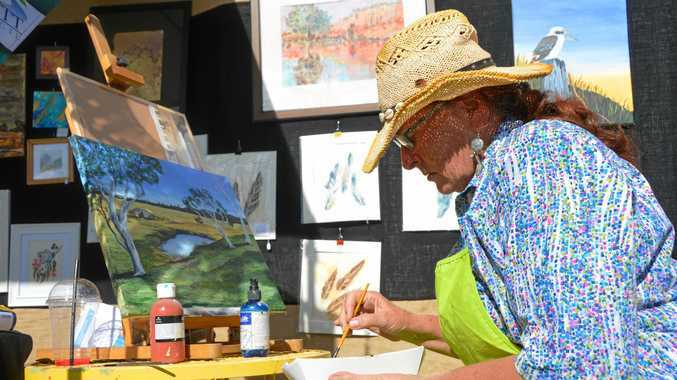 The artists of Monto will have their chance to showcase their art at the Mount Perry Show this weekend.